Why Does Amazon Ship Tiny Items in Huge Boxes? Ever wonder why a logistical paragon like Amazon wastes so much packaging on small items? Here’s the best theory so far. It happens to every Amazon Prime member at least once in a while: you find a big ol’ Amazon box on your doorstep and crack it open only to find it is filled with 90% brown paper and then a tiny little item inside. The practice seems wasteful, annoying, and seemingly avoidable. Yet it continues to happen on a regular basis. Everyone has their own theories about wasteful Amazon packaging. Maybe they are picking box sizes to make it easier to load onto the truck. Maybe they are purposefully over-boxing things to meet some kind of bureaucratic quota. Or maybe they only have a standard box size and they can’t get any smaller. Amazon occasionally packs items into obviously too big boxes due to data entry errors. 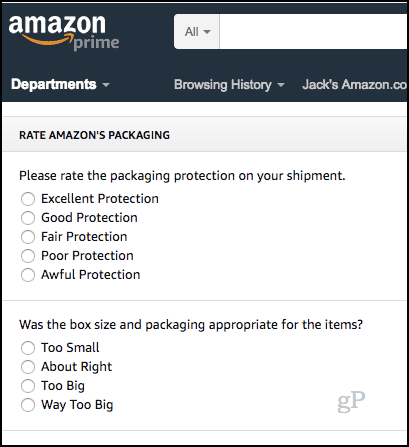 As a commenter on a Gizmodo post explained some years ago, the system will tell an Amazon packer which box to grab automatically when they scan an item. The system pulls from the product description to determine the box size. It’s possible that the seller made a mistake when plugging the product dimensions into the system. For example, they could mistake feet for inches on an iPhone case, or give the unpackaged dimensions of a yoga mat instead of the rolled up shipping dimensions. When a packer gets a box that’s too big, they can flag it in the system and recommend a smaller box size. This will be reviewed and corrected going forward, but oftentimes, at least one of the items will go out in the incorrect box size. The system relies on humans to correct the error in the system. Box size is determined by dimensions of the item, not how it’s going to be packed in the truck. When you get a giant box for a small item, it’s usually because someone [messed] up when they measured the item, e.g., they measured a pack of six instead of the individual item. Even the source he quoted doesn’t mention the truck Tetris game, which would be really difficult to handle in software. People do the truck packing, and it happens as you get packages going out. Source: I write software that handles measurements at Amazon. All this being said, you should know that you can give Amazon feedback about their packaging. Go to amazon.com/packaging and you can tell them if the box was too big, the item wasn’t protected enough, or the item was hard to open. Do you ever get over-packaged items from Amazon? What’s your theory on why this happens? Better over packaged and protected than under. Many times Amazon has shipped me breakable or electronic items in nothing but a bubble-wrap envelope. Case in point – I once bought my wife a Kindle Fire for Christmas. I had the previous generation Kindle Fire HD 7 which had it’s own box that offered fairly decent protection. They shipped this in a slightly larger than necessary cardboard box that was also well padded with those little inflatable air pillows. Overall very well protected. When I ordered the new generation of the same model the next year for my wife the device didn’t even come in a box. It came in a cardboard sleeve that was closed with an adhesive at the top. This was placed into a cheap, small bubble wrap envelope barely large enough to hold the contents. I am totally shocked that it survived in one piece. It seems to be hit or miss with Amazon. I have received phones packed like this and others packaged very well. The only positive I can say is that if something arrives damaged Amazon has always refunded my money or replaced the product at their expense. as a prime member since 2013. it is obvious that amazon’s packaging department is clueless on how to properly package anything. when ordering from third party sellers through amazon the packaging is much more efficient. it’s apparent to me that they’ve got to keep the line moving at their plant, in a big hurry just like all of us living in the world of instant gratification. Possibly for Amazon’s cost savings and convenience? Having 5 sizes of cartons vs. 10 means less decision making, fewer SKU’s to stock, room for more packaging workstations because less room used for many box sizes, sizes may match cost breaks based on size negotiated with delivery carriers, more standardization for label positioning which facilitates automatic scanning, fewer packages lost during “Truck Tetris” stages, less chance of doorstep pilfering of easy-to-pocket items. I doubt that Amazon’s packaging department is clueless about packaging, but could easily find it hard to get everyone on a peak-season workforce to give a darn about carefully packaging items they have 20 seconds to get boxed up and labeled. The only time I got a small item in a big box the item included extra lithium-ion batteries. I assumed it was because of the batteries. I might be wrong. My chief complaint with Amazon shipping is when the shipping address is not the same as the billing address. I have a tendency not to catch that when I receive the order acknowledgment in my email. I try very hard to be careful about this and have only once had a problem with any other shipper. With Amazon it has happened four times. I would order elsewhere, but when Santa gives me a pack of Amazon gift cards, I’m stuck. I am amazed that nobody understands the true logic of why Amazon is using such huge packages for small things! THE TRUE REASON is the fact that they have contracts for transportation and they need to fill the spaces otherwise they have to pay penalties for not fulfilling their part of the contract. Since the DHL or FEDEX planes are not contracted by the actual daily volume but by the overall yearly approximated volume, if Amazon does not fill the cargo planes then they’ll have to pay extra since the carrier might conclude that Amazon is incurring them losses for the unused space! Since Amazon’s electronic systems know in every moment what, when and where it will be delivered the decision to chose certain packages for the workers to work with is automatically done according to their transportation needs! 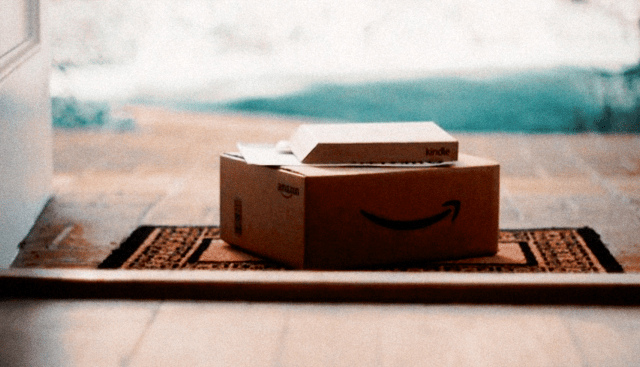 The same logic applies further when it comes to the package itself: they have contracted a certain amount of cardboard boxes and they have to keep up to their obligation. In short, Amazon does not send those huge packages by mistake but because of a pure business reason. Their overall approach is very similar to what McDonalds and many other companies are doing and that is to inflate their business as long as they do not have to pay ANY TAXES for damaging the environment or for inflicting severe costs to the medical systems of every nation on the planet! Everything is nothing but a part of an economy from which if you take out squandering and waste then the global economy will collapse after a reduction of at least 30% !! !